Many would say that this is John BrowningÕs finest work, used by the British army and SAS in particular the 9mm Browning High Power has seen years of service, but still holds its own against more modern combat pistols. 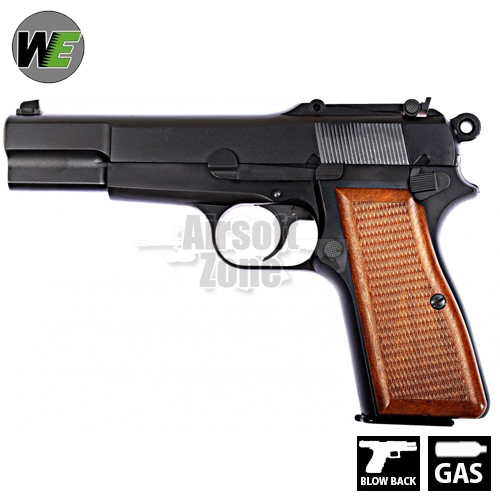 This model is of course WEÕs airsoft version of it (unique in airsoft as WE are the only company who make a skirmishable version). 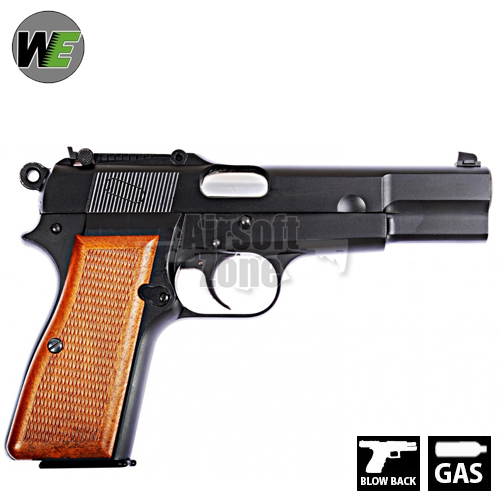 The WE Browning retains all of the operating characteristics of the original including double and single action trigger and a magazine safety. All in all a lovely pistol for collectors and/or skirmishes looking to complete a Falklands era or SAS British army load out.